Communication is key in all relationships. Effective and compassionate communication by physicians and other health care providers has been demonstrated to improve clinical outcomes, treatment adherence, patient satisfaction, and to reduce malpractice claims. For health care providers, it adds meaning to our work and deepens relationships with patients and families. Excellent communication in medicine is an essential tool that requires close attention and regular practice, especially in the context of delivering bad or difficult news. Earlier this year, NEJM Resident 360 hosted a discussion with experts on how to deliver bad news. This post provides an overview of some tools that can be utilized in a myriad of clinical encounters and are effective in both adult and pediatric realms. These statements provide a moment for patients and families to prepare for the forthcoming news and brace themselves for a difficult discussion. Warning shots also acknowledge our own awareness of how painful the news will be for patients to hear. Following this with silence, empathetic statements, and asking permission to proceed is extremely helpful. Silence creates a safe and empathic environment for discussing difficult news and exploring the meaning of this news in the context of the life of a patient and family. Different types of therapeutic silence have been described. Invitational silence is when a patient is provided time to process information, to sit with emotion, and is then invited to share this within the discussion. Compassionate silence occurs naturally within the cadence of a difficult conversation when a care provider and patient share in a feeling that transcends words or in which the care provider actively and mindfully focuses on compassion for the patient. A lovely quote from E.B. White, The Trumpet of the Swan, states, “I assure you that you can pick up more information when you are listening than when you are talking.” Studies suggest that physician encounters last seconds before the provider interrupts the patient or family. We do this because time is limited. 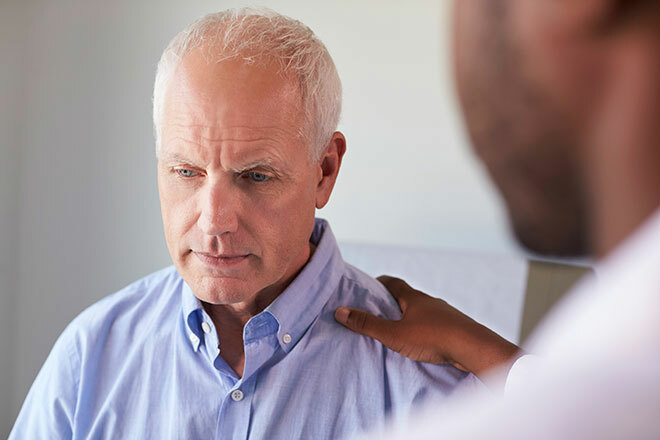 However, many clinicians don’t realize that listening not only allows us to elicit the patient’s concerns but also often shortens the encounter. When we provide time for patients to share their worries and interpretation of what they have heard from other medical providers, it provides a shortcut to understanding their perspective. It elicits critical insight into their values and goals and offers a starting point for sharing the necessary information. The guidance offered and probing questions asked would be entirely different in response to each statement. These insights are gifts to true communication and development of shared medical decision making. Rarely the response to these questions is “no.” Requesting permission places the locus of control in the hands of the people who have just heard difficult news and opens their ears to your words. In the context of delivering difficult news, humility is the ability to accept that medicine is an imprecise science and that even situations in which an outcome is certain, the timing of that outcome is not. If we provide information simply, honestly, and accurately and yet leave room for a bit of uncertainty, we will find a more collaborative path forward. Reflecting on past clinical encounters when the certainty you shared did not come to pass is humbling and leaves the door open for being wrong and genuine. Explaining that you are sharing honest medical information but, “we are not in charge,” or “each patient is unique,” can engender trust. As a profession, we have heard from countless families that were told about a diagnosis or prognosis with certainty that turned out to be incorrect. Creating a small amount of room for prognostic uncertainty is not abdicating our clinical responsibility but building trust and a foundational therapeutic relationship. Listening and hearing are not the same. Echoing the exact words or phrases families use tells them unequivocally that we are listening. If a situation prompts the response, “I am listening to you,” it likely indicates that the recipient does not feel heard. If a family member says that their loved one would not want “to live like this” and we ask what “living like this” would mean to that person, we have told them that we are listening thoughtfully. The responses provide a foundation for next steps. They can lead to a prognostic discussion and help a family decide about the direction of care based on what is most important to a patient and family. Communication of difficult news is never easy. When delivered with a balance of honesty, compassion, and humility, it is the first step to true shared medical decision making and eliciting the patient’s or family’s goals of care. In our practice, these tools have been crucial and foundational in delivery of difficult news while forging long-lasting therapeutic relationships. For more guidance on delivering bad news, see the NEJM R360 Patient Communication rotation guide. Dr. Allison Caldwell is a Pediatric Palliative Medicine physician at Maine Medical Center in Portland, Maine. She graduated from Vassar College, and received her medical degree from Albany Medical College. She completed a residency in Pediatrics at Brown University, Hasbro Children's Hospital, and fellowship in Pediatric Palliative Medicine at the University of Tennessee, Le Bonheur Children's Hospital and St. Jude Children's Research Hospital.